Microchip will attend and participate with our PoE ICs and system products. In the Interim, we are updating our IEEE 802.3bt firmware (FW) version to align with the latest test plan drafted by the EA members. The PD69200 BT FW version targeted for the certification event is version 3.4. Preliminary release is available for customers that would accept the possibility of any last-minute changes and would like to participate in the February test event. Formal IEEE 802.3bt FW will be released once we clear EA certification testing. We are excited and looking forward to supporting you through these designs. You are welcome to share the news with your colleagues and customers. Contact your local Business Unit (BU) marketing/applications team for more details. 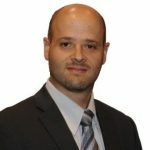 I welcome you to connect with me on LinkedIn; I am also happy to answer any questions you may have. This entry was posted by Shahar Feldman on Thursday, December 6th, 2018 at 5:00 am and is filed under Ethernet and PoE. You can follow any responses to this entry through the RSS 2.0 feed. You can leave a response, or trackback from your own site.